You’re two weeks away from the start of your epic long distance bicycle adventure and you’re both nervous and excited about the events that are to come. You’re excited about the possibilities, but nervous about everything that could go wrong. More than anything, you’re concerned about your ability to feel at home out on the road. You know the riding will be fun, but what about the nights in your tent, sleeping on the ground, living out of your bags? What is that going to be like? And how in the world are you going to prepare yourself for this extreme change of lifestyle? 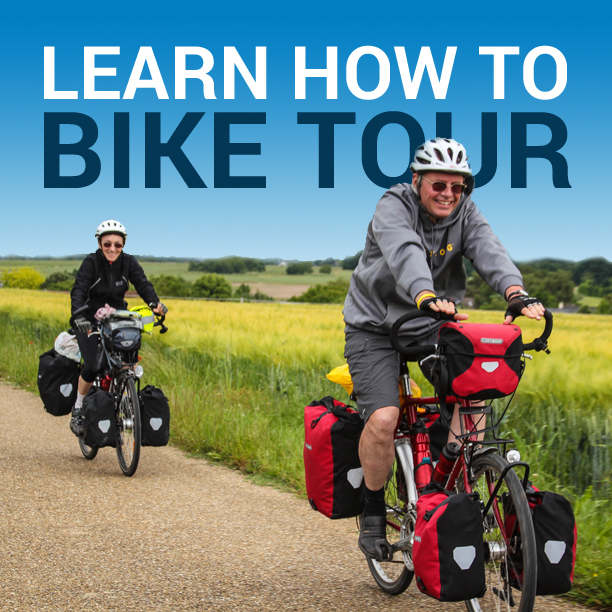 Two weeks before you leave on your tour, pack up your bike with every single piece of gear you are going to need for your tour. Put all the gear on your bike and act as though you were leaving on tour at his very moment. Once you’ve got your bike packed, start living off of your bike. Cook with the stove. Eat with the pots and utensils you will be carrying. Practice packing and unpacking the bike every single day. Act as though you were on tour and living out of your bike at this very moment. When night comes around, blow up your sleeping mat, whip out your sleeping bag, and sleep on the floor. Or better yet, set up your tent in the yard and sleep outside. Be sure to pack your panniers and all your other gear inside the tent with you. Lock up your bike and secure your belongings. In the morning, pack up your things. Use your toiletry kit and camp towel when you go to the bathroom or take a shower. Roll up your tent and sleeping bag and pack your bike again. Do this every single day for two weeks before you leave on tour and by the time you actually leave you will be comfortable living off of your bike. One of the other benefits of doing this before you leave on tour is that by living this way you ensure you have everything you will need for the tour. It’s better to find out you forgot something when you are still at home than to discover your blunder once you are out on the road and in desperate need of that forgotten item. 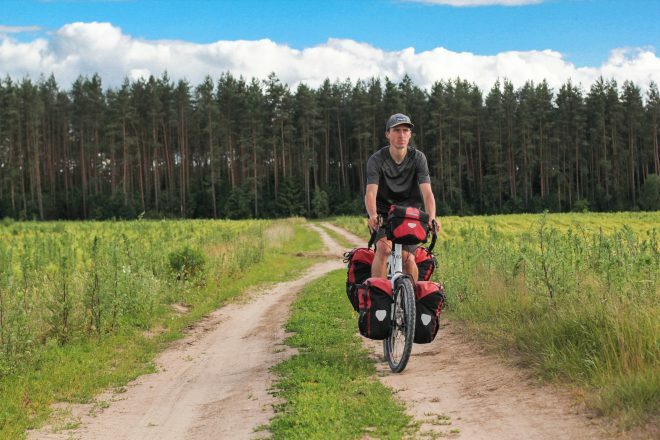 Live off of your bike for two weeks before you leave on tour and you’ll learn to be at home out on the road! This entry was posted in Bicycle Touring Pro Articles, Featured How-To Articles, Main Articles, Planning and tagged 2 weeks, before a bike tour, before a bike trip, bicycle tour, bicycle travel planning, bike tour, how to prepare, Planning, planning for a bicycle tour, preparation, preparing for a bicycle tour, sleep in a tent, sleep in the ground, tour, travel, two weeks, what to expect.